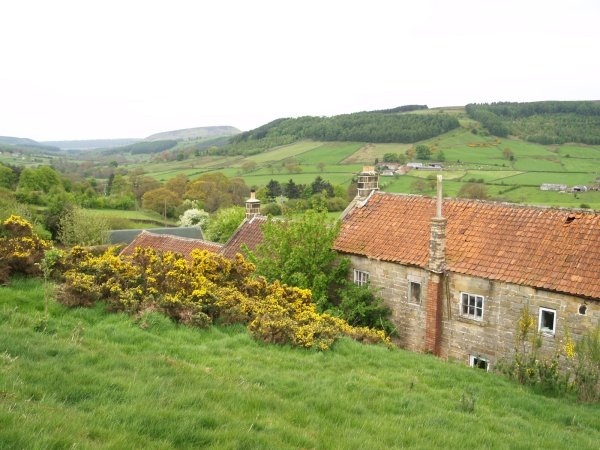 Bilsdale is the most westerly of the steep-sided dales of the North York Moors and stretches from Clay Bank view point in the North to Newgate bank to the South. Bilsdale is a stunningly natural area of grassland, open farmland and conifer woods set amidst a patchwork of dry stone walls. The valley was sculpted out of the landscape by melt water from the last Ice Age some 13,000 years ago. Evidence of early man can be found on the moors which border the dale. In addition to numerous tumuli a line of Bronze Age earthworks skirts the rim of Urra Moor and an impressive stone circle known as the Bride Stones stands on a prominent ridge.On the eastern side of Bilsdale lies the ancient hamlet of Urra, two miles south is the village of Chop Gate and further south the lies the hamlet of Fangdale Beck. From the village of Laskill a road leads to Hawnby cutting through beautiful rugged moorland onto Osmotherley. 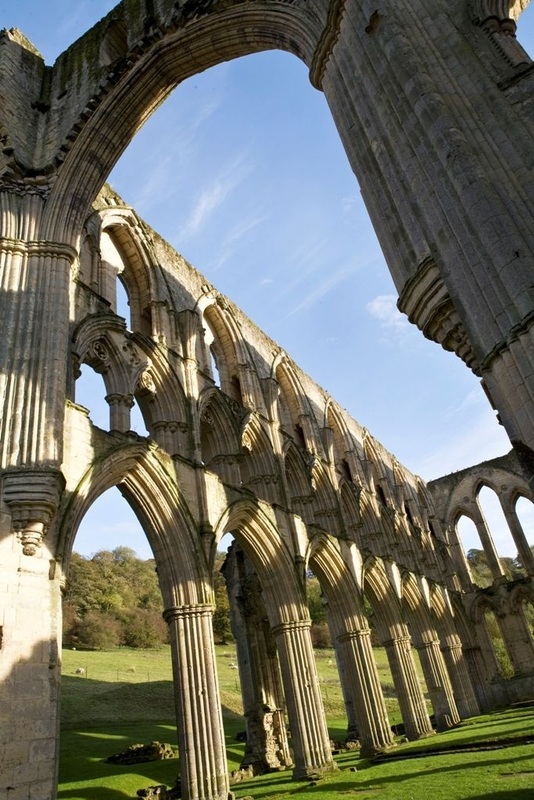 On the road south out of Bilsdale lies the beautifully ruined Rievaulx Abbey and Rievaulx Terrace and Temples. These places of interest are worth a visit before reaching the market town of Helmsley. There are many other places to eat to be found in the Dale, especially in the market towns of Helmsley and Stokesley. Bilsdale is a fantastic place to enjoy leisure activities. There are an extensive network of bridle paths and leafy green lanes and is home to a Riding Centre which offer half and full day treks. 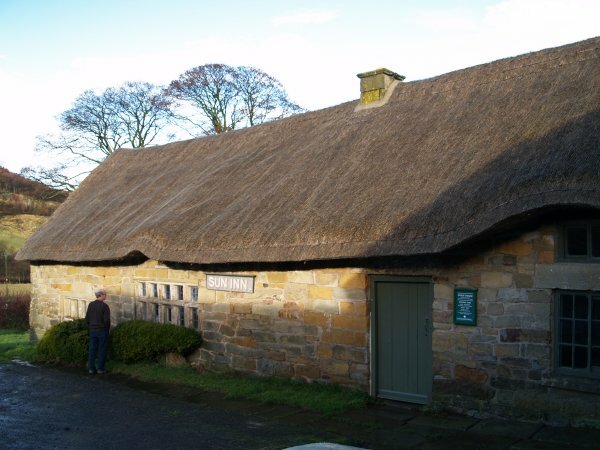 It is also a fantastic area for both walkers and cyclists as both the Cleveland Way and Coast to Coast trail lie within close proximatey.For more information on Bilsdale, visit the Bilsdale Parish website. Bilsdale is the most westerly of the steep-sided dales of the North York Moors. It stretches from the Cleveland escarpment some ten miles south to Newgate Bank. The valley was sculpted out of the landscape by melt water from the last Ice Age some 13,000 years ago. On the eastern side of the dale lies the ancient hamlet of Urra and two miles south is the village of Chop Gate. Further south is the hamlet of Fangdale Beck. The dale has two churches and a chapel. St Hilda’s Church and the Wesleyan chapel serve the northern half of the dale and St.John’s Church serves the southern half. Evidence of early man can be found on the moors which border the dale. In addition to numerous tumuli a line of Bronze Age earthworks skirts the rim of Urra Moor and an impressive stone circle known as the Bride Stones stands on a prominent ridge. The remains of a Celtic field systems are found on the moors to the west but it was the later waves of invading Anglo-Saxons and Vikings which left the dale it’s legacy of place names. The name Bilsdale is derived from the old Norse personal name ‘Bildr’ and means ‘Bildr’s valley’. In the 11th century William the Conqueror is reputed to have been lost in Bilsdale when returning from harrying rebels in the Coatham marshes. 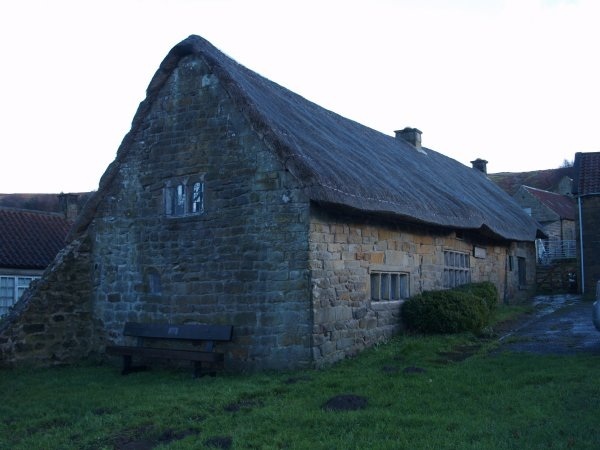 It was Norman Lord,Walter L’Espec who owned Bilsdale in the 12th century who generously gave land to the Augustinians of Kirkham in the north of the dale and to the Cistercians of Rievaulx in the south. These two monasteries influenced life in the dale until the Dissolution of the monasteries in 1538. After the Dissolution the lands passed to the Earls of Rutland and subsequently to the Duke of Buckingham. The Duke’s heir sold the estate in 1687 to the Duncombe family whose heirs later became the Earls of Feversham. It was the second Duke of Buckingham who established the Bilsdale Hunt in 1657 and which claims to be the oldest in England. The Hunt has close associations with the Sun Inn, one of the two Inns in the Dale. The old Sun Inn, a thatched cruck-framed house (circa 1550) stands opposite the present day Inn. The other Inn, now the Buck Hotel was the traditional venue for Bilsdale Agricultural Society’s annual show. Both of the Inns host cricket teams. There is evidence of iron-working in the dale in medieval times. Itinerant smiths would practice the ‘mysteries’ of smelting and iron-working. Generally the ironstone deposits are of poor quality but a famous plough-maker John Wood, after studying the craft in other places, set up a foundry in Fangdale Beck in the late 19th century. Jet was also mined extensively in the latter half of the 19th century and the jet shale tips still scar the hillsides today. Jet, a fossillised wood, was fashioned into jewelry and became popular after Queen Victoria wore it as a sign of mourning on the death of Prince Albert in 1861. However, farming was always the main occupation in the past with the emphasis being on the traditional occupation of sheep rearing with the hardy Swaledale sheep grazing on the moorland sheep strays. Bilsdales first school was recorded in1781 in Chop Gate and Fangdale Beck school dates from 1814. The two schools flourished well into the 20th century but only the Chop Gate school remains today. Bilsdale Silver Band was founded in the mid 19th century and is still active. It is highly regarded and in great demand to perform at local functions. Bilsdale has a fascinating history but it has moved with the times and has a vibrant and active community participating in the many local activities. Spout House with its small windows.